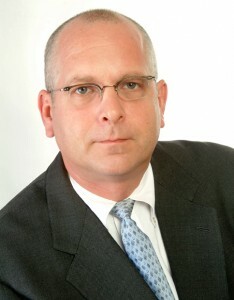 Mr. Rebane co-founded Haverford Healthcare Advisors in 1994. Kirk has over 30 years of business valuation advisory and transaction advisory experience, having completed projects during that time for more than 2,500 business entities. During his career as a valuation expert, he has valued companies throughout the U.S. and in other countries with a combined value in excess of $50 billion. He has directed the preparation of valuation projects, and/or testified, in numerous litigation support actions. In 2006, Mr. Rebane co-founded Aurora Diagnostics, LLC (www.AuroraDx.com), a national anatomic pathology laboratory company headquartered in Palm Beach Gardens, Florida. Today, Aurora Diagnostics is the largest independent pathology company in the country, with net revenue approaching $300 million. From 2006 through present, Haverford initiated and completed 26 acquisitions of pathology practices and laboratories on behalf of Aurora Diagnostics as its exclusive buy-side advisor. Kirk holds a BA in Statistics from Dartmouth College, as well as an MS in Finance from Drexel University. His education has been supplemented by numerous continuing professional education courses. Mr. Rebane is a senior member of the American Society of Appraisers (ASA), where he is designated in the specialty of business valuations and is a former member of the International Board of Examiners of the ASA. He is a Chartered Financial Analyst and a member of various professional organizations, including the CFA Society of Philadelphia, the CFA Institute, the Estate Planning Council of Philadelphia, the American Pathology Foundation, the Radiology Business Management Association, the Northeast Chapter of the RBMA, and the Healthcare Financial Management Association. Mr. Rebane currently serves as the President of the Northeast Chapter of the RBMA. He also serves on the Program Committee of the RBMA and the Program Committee of the Northeast Chapter of the RBMA. Kirk speaks regularly at healthcare industry conferences and has published numerous articles in healthcare publications.